Available now, parts of Jabra’s Xpress asset management system functionality has been incorporated into Unify Square’s PowerSuite solution – and more will follow. This will enable IT departments to more easily monitor and manage all Skype for Business and Microsoft Teams assets and drive greater user adoption of Unified Communications. When it comes to job responsibilities, perhaps no one in the organization wears more hats than today’s IT administrator: Technical wizard, futurist, data-security guru, coach, counselor – and, increasingly, firefighter. There’s no shortage of UCaaS platforms out there: Skype for Business, Cisco Jabber, Avaya Aura – you name it. These platforms are quickly changing the way people communicate and work. Companies now need to look at something they may not have considered before: How to deploy headsets for their many different employees? Most businesses haven’t had much experience with deploying and managing headsets for a large group of employees. There’s one exception: businesses with employees that are “call-centric.” These professionals listen to and talk with customers for a living – think stockbrokers, insurance agents, or call center agents. Their typical day includes a lot of phone conversations and the occasional quiet time to get some focused work done. Call-centric workers treat headsets as a critical business tool; they wouldn’t even consider doing their jobs without one. Today, more and more businesses are starting to deploy headsets to completely different types of employees in order to improve their productivity and help them make better use of new UC tools. New cloud computing models are reinvigorating the UC market and opening up new opportunities for companies, their employees, and manufacturers of audio devices. Not so long ago, cloud computing was a concept still largely unexplored by the corporate world. In just a few short years, new cloud computing models and market players have spurred new approaches to managing IT resources and deploying UC. Meetings are the killer of modern work life. Fortunately there is a better way. We should only meet twice a year and really get to the bottom of things – and then let the specialists take care of the rest. Several years ago, I visited a Danish company who wanted to eliminate the insane amount of time they wasted for meetings – a pain point that many other organizations experience. Already, they created some strong points of view around better time management and prominently displayed advice through posters on meeting room walls. These were all standard best practices: start on time, prepare an agenda and follow it, stop discussions when they are not leading somewhere, make sure you agree on your conclusions, etc. Unfortunately, good advice is not always followed and the campaign didn’t work very well.. The rise of Unified Communications is making more companies consider professional headsets, so the headset market is growing rapidly. Small and medium businesses (SMBs) face many challenges when switching over to Unified Communications, especially when voice is involved. They have to roll out new server infrastructure, set up security layers, and add new hardware and headsets. They then have to find a way to finance the entire project. Luckily, new solutions exist in the market that simplify this process, making it easy for SMBs to deploy UC. Urbanization is killing rural villages all over the world. And the new mega-cities are destroying the environment and quality of life. I have an idea how to make this development stop – by creating the perfect community of the future. It’s the end of civilization as we know it. And it’s one of the largest challenges for most countries in the world. What Can Technology Roll-Outs Learn from the Pioneers of Medicine? What do today’s technology roll-outs and mid-19th century medicine have in common? Both have struggled to get users to embrace the latest innovations, despite their obvious benefits. 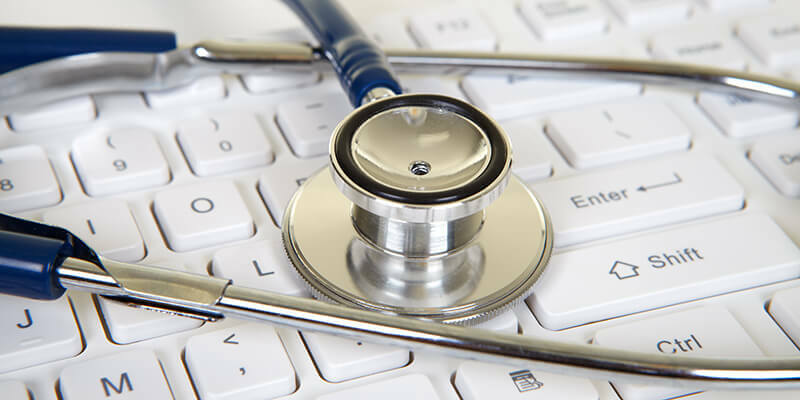 Find out what the IT professionals of today can learn from the doctors of old.